PLeSE NOTE: FOR 2019 We have moved! whoop!!!! I've finished! Now what? 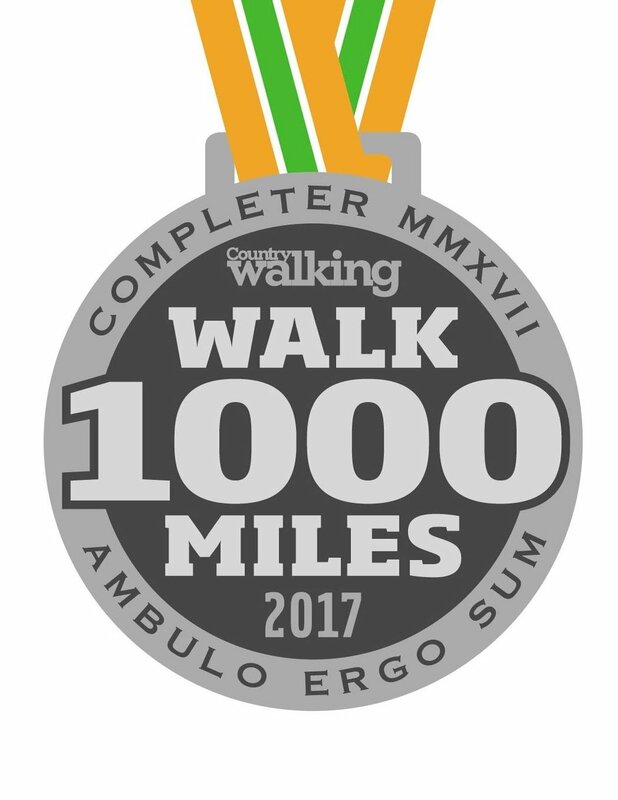 Brilliant completers' medals now shipping! Funny signs, touching stories, silly videos and the stunning new issue of the club mag. Click anywhere to read the latest #walk500/1000miles newsletter and learn a fascinating fact about you versus the planet Venus. Order your completer's medal, see the month's best-of video, win a cool collapsible kettle and mug set, marvel at the tree faces you've found and more! it's been sheer joy to be part of a community so determined to make – and so adept at making – life better by walking about an hour a day. It doesn't sound like much of an investment and indeed it isn't, in the sense of back-breaking work and personal sacrifice. But it is an epic fertiliser for life. Happy walkers, infectious smiles, memories being made – and things in so many respects getting better and better through the magic of regular application of the old left-right, left-right. That's the business we're in – and there isn't a better one on the planet. It's been another great month in #walk1000miles with over 25,000 of us pounding the pavements and trails and this month will be even better as we welcome #walk500miles into the family!